Infusion pumps are devices that permeate nutrients, fluids, or medications into the circulatory system of a patient’s body. In general, it is used intravenously in most of the cases. However, epidural, subcutaneous, and arterial infusions are also being used in quite a few cases. The credit of the infusion pumps go to the way these pumps can administer fluids. It is not all feasible and expensive for a trained nurse to administer medication, nutrients, or fluids into a patient’s body in a way that infusion pump does. For instance, infusion pumps can infuse as little as 0.1 mL per hour injection or injection with repeated boluses or an injection per minute as per the requests made by the patient. It can give injections up to a maximum number of times per hour, for instance, in cases of patient controlled analgesia and it can also vary the fluids as and when required by the patients. Infusion pumps are capable of creating immense pressure but at the same time they are able to control pressure as well. These pumps are used to inject regulated amount of fluids just beneath the skin or subcutaneously as it is commonly known as. Epidural is another method that is used by infusion pumps to inject fluids just in the surface of the central nervous system, for this method is implemented while administering local anesthesia to pregnant woman during childbirth. The market has evolved rapidly driven by a steady demand for different types of infusion pumps—stationary and ambulatory infusion pumps—for the management of a wide range of ailments that include cancer, diabetes, gastrointestinal diseases, neurological disorders, and AIDS. Over the past few years, the infusion pumps market has witnessed growing popularity of various specialized types such as enteral feeding pumps, patient-controlled analgesia (PCA) pump, and insulin pumps among patients. Manufacturers of medical devices are constantly making efforts to increase the reliability and safety of infusion pumps and to reduce medication errors delivered by intravenous infusion. 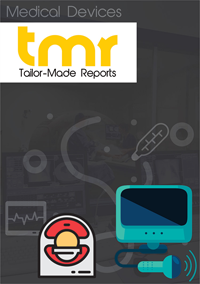 The infusion pumps market is primarily driven by the increasing incidence of various chronic diseases, the management of which requires safe and controlled administration of medications and drugs. In addition, the increasing number of surgeries performed in developed and developing regions and a rise in geriatric population are expected to fuel the market. The increasing inclination toward the adoption of alternative therapies for the treatment of cancer, multiple sclerosis, congestive pain, rheumatoid arthritis, and chronic pain has stimulated the demand for infusion pumps. For instance, the adoption of intrathecal drug delivery is emerging as a viable option for the treatment of patients suffering from chronic and intractable pain or severe spasticity. Coupled with this, constant automation and technological advancements in infusion devices and accessories have led to the availability of smart infusion pumps with ergonomic design, enhanced operation, user-friendly interfaces, and portability, thereby propelling the market. The increased adoption of insulin pumps for the self-management of diabetes across home settings and the adoption of implantable infusion systems for neurological diseases are developments expected to expand the potential of the infusion pumps market. Flowonix Medical Inc., a pioneer in drug delivery systems company based in New Jersey, and Cerebral Therapeutics, a company based in Colorado, have announced the world’s first clinical trial administering medication directly into the brain of patients suffering from refractory epilepsy. The two companies jointly developed Prometra II Programmable Pump, an implantable infusion pump, to be used with an intrathecal catheter for the affected patients in the Australian Direct Drug Administration for Refractory Epilepsy (ADDRESS) clinical trial conducted at St. Vincent's Hospital, Australia. The wide ranging clinical study will enable the companies to assess the efficacy of micro-infusion therapy featuring the intracerebroventricular (ICV) delivery of the drug—valproate sodium—among patients with intractable epilepsy. The study, believes the participants will have profound ramifications in the potential of implantable infusion therapies for the treatment of drug-resistant uncontrollable epilepsy and is expected to benefit the healthcare community at large. Although the Prometra II Pump is not yet approved for the ICV administration of valproate in the U.S. and Australia, the clinical study opens up promising options. Among major regions, North America is a prominent market for infusion pumps and is expected to exhibit impressive growth along the forecast period. The significant growth in the regional market is attributable to the rising penetration of high-end pumps, soaring adoption of ambulatory pumps for managing chronic diseases, and the presence of a robust healthcare infrastructure. In addition, the increased integration of infusion therapy in healthcare IT infrastructure has propelled the regional market. The Asia Pacific market is anticipated to witness substantial growth along the forecast period. A rapid rise in geriatric population, increasing accessibility of healthcare facilities, advances in health insurance sector, and a rise in chronic diseases are the factors fuelling the regional market. Several companies are offering technologically advanced infusion therapies, including implantable, wearable, and automated infusion pumps, to help the management of a wide range of chronic diseases. Major players operating in the infusion pumps market include B. Braun Melsungen AG, Fresenius SE & Co. KGaA, Becton, Dickinson and Company, Pfizer Inc., Medtronic, Terumo Corporation, and Roche Diagnostics.